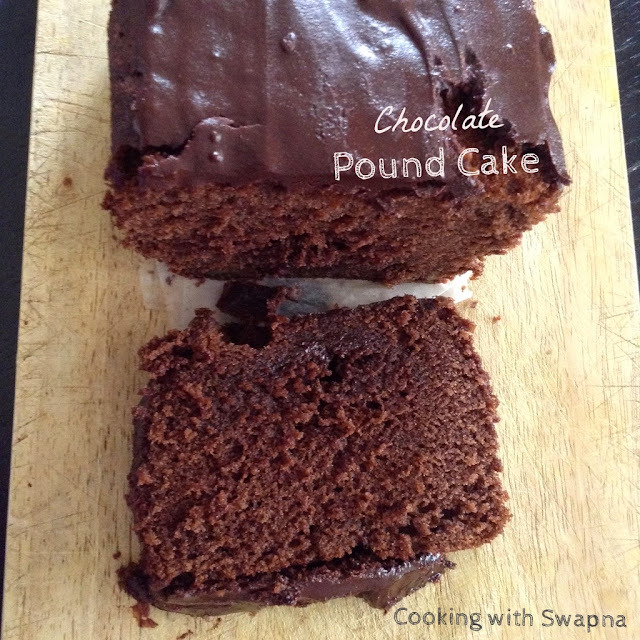 Cooking With Swapna: Granny's Chocolate Pound Cake - Delicious !!!! 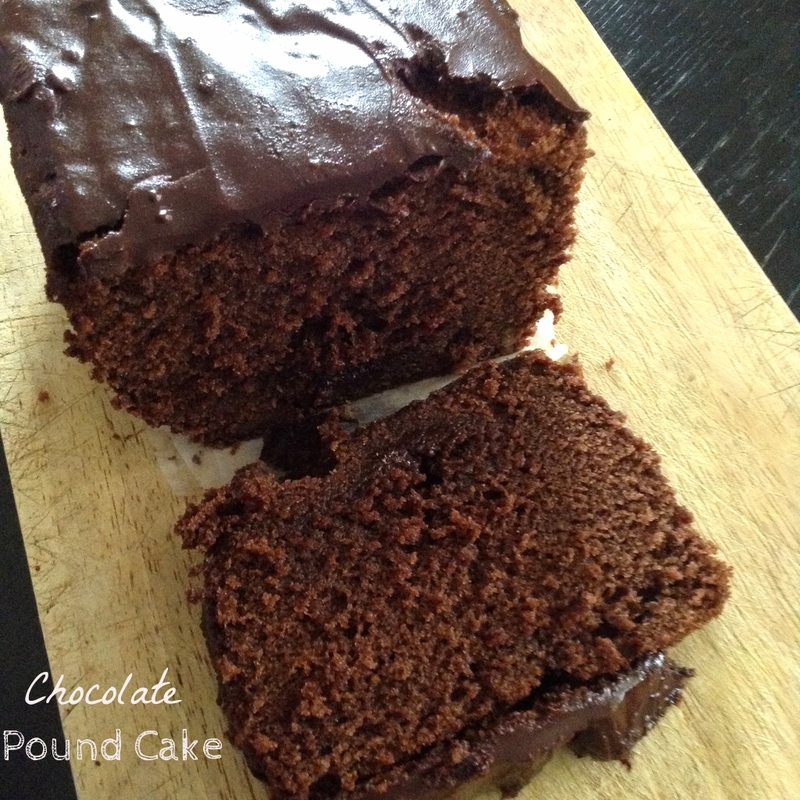 This chocolate cake is rich, moist, dense and buttery with a drizzle of chocolate glaze. Perfect for birthday's. Chocolate lovers everywhere will rejoice upon first sight.... and bite. It is heavenly!!! 2. 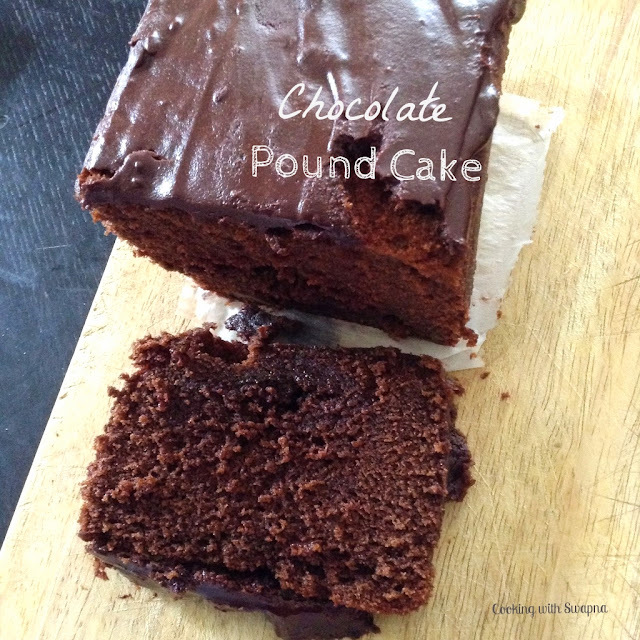 Mix the cocoa powder, coffee powder and hot water without any lumps. Allow them to cool completely. 3. Sieve together cake flour, salt, baking powder and keep aside. 4. Beat the butter until smooth and add vanilla extract & sugar. Beat until light and fluffy. 5. Add the eggs, one at a time, beating well after each addition. Beat in the cooled cocoa mixture. 6. Add in the flour mixture along with the milk. Mix well until well combined. 7. 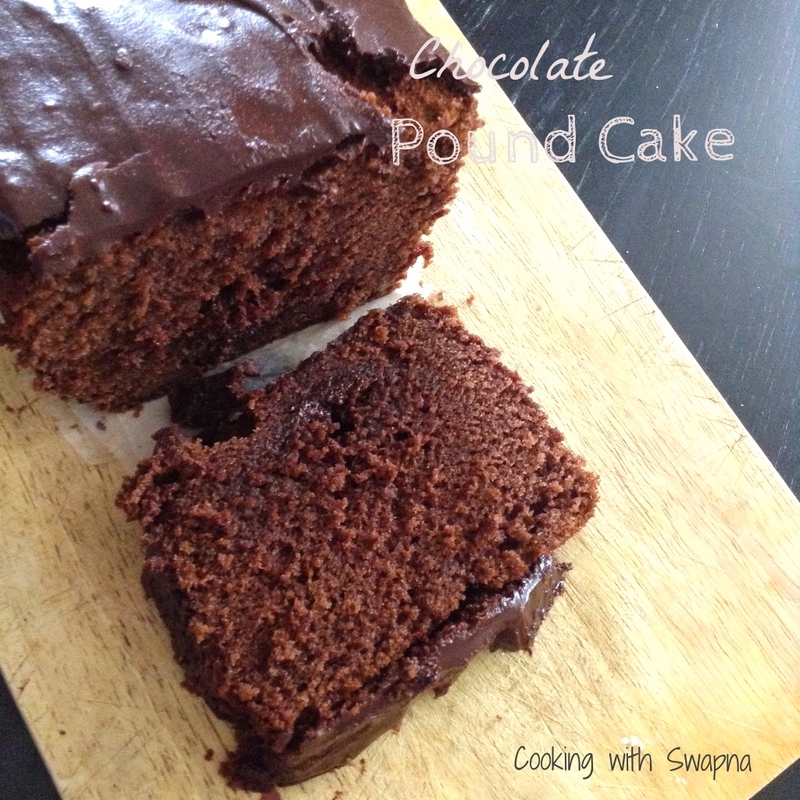 Pour the batter into the prepared baking pan and bake it for 55 mins or until toothpick inserted into the centre of the cake just comes out clean. 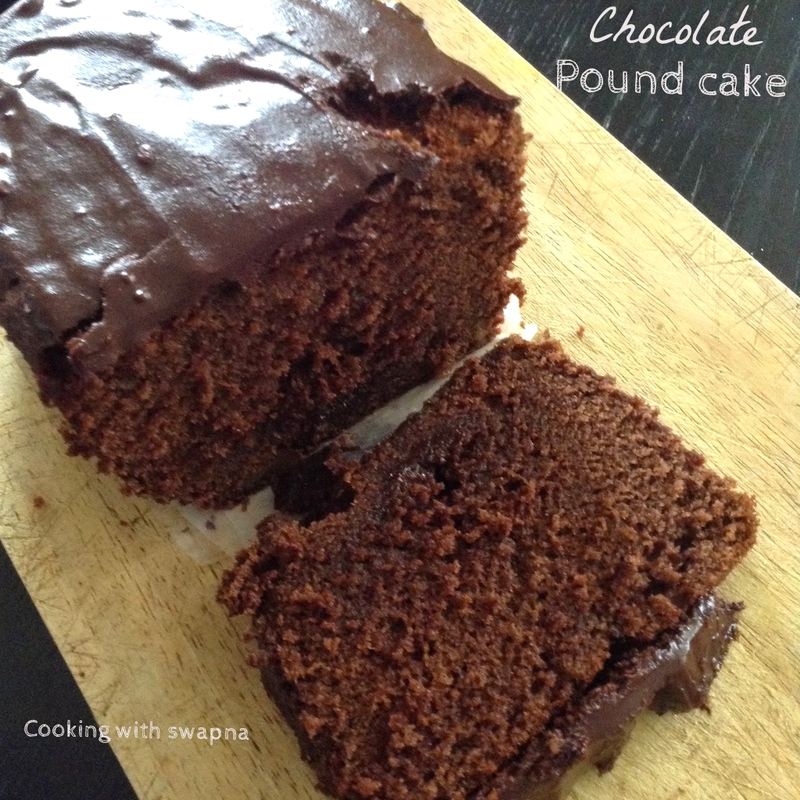 Once baked, allow the cake to cool completely. 8. Melt the chocolate, butter and honey over the simmering water. 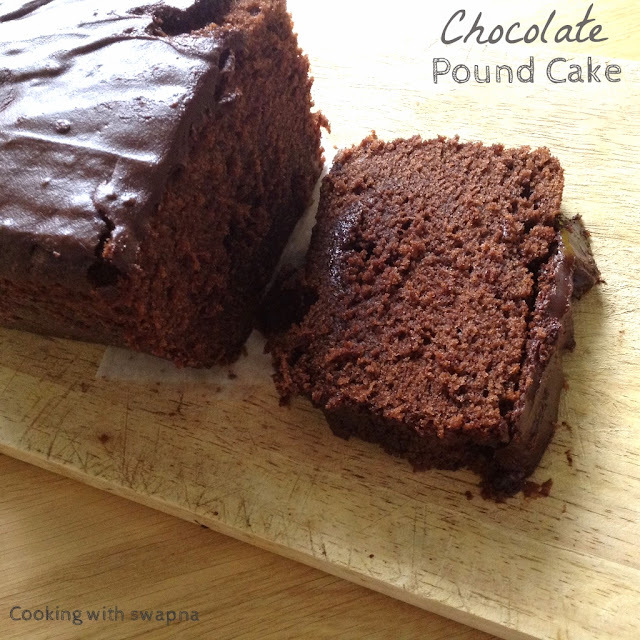 Allow them to cool little and glaze them over the chocolate cake.